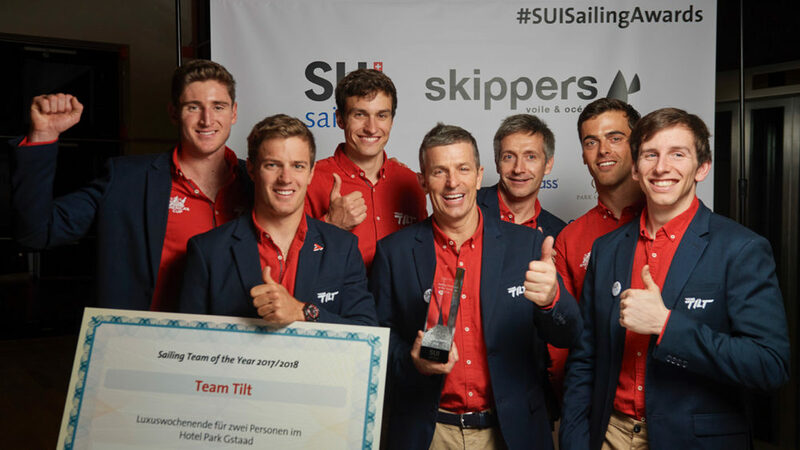 Team Tilt has its sites set on a podium finish at the D35 trophy this year and the squad has been working hard during the winter months towards this with a full refit and 20 days already invested on the water before the opening event. “We have managed to achieve much more during the training days than we did last year,” said sports director and tactician Tanguy Cariou. “We were very lucky with the conditions, now we just need reproduce what we did during the training sessions on the race course. 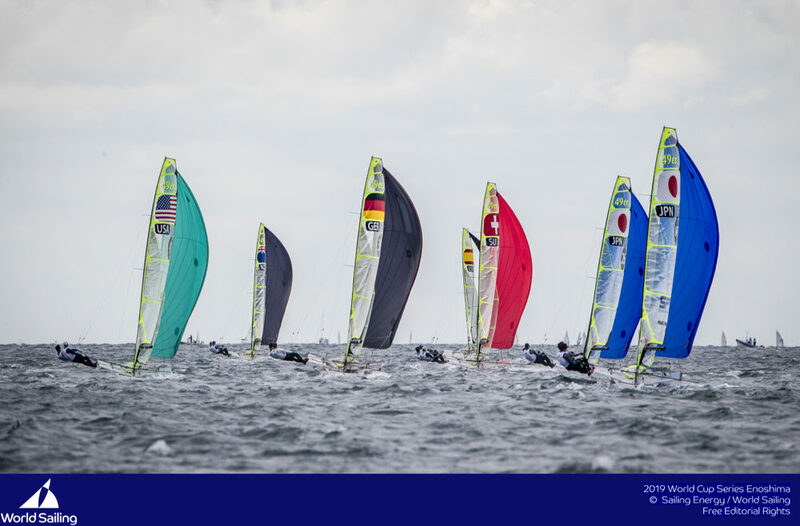 True to their ambition, the team came out of the blocks strong, winning the opening event of the season ahead of two of the heavyweights on the circuit, Alinghi and Zen Too. 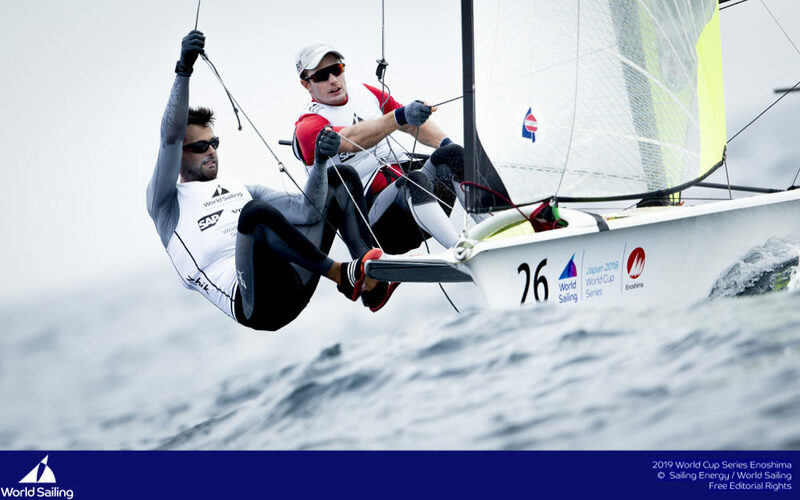 Sébastien Schneiter and Lucien Cujean both missed the first Grand Prix due to Olympic commitments on Lake Garda where they were racing their 49er. Arnaud Psarofaghis stood in for Sébastien Schneiter on the helm. 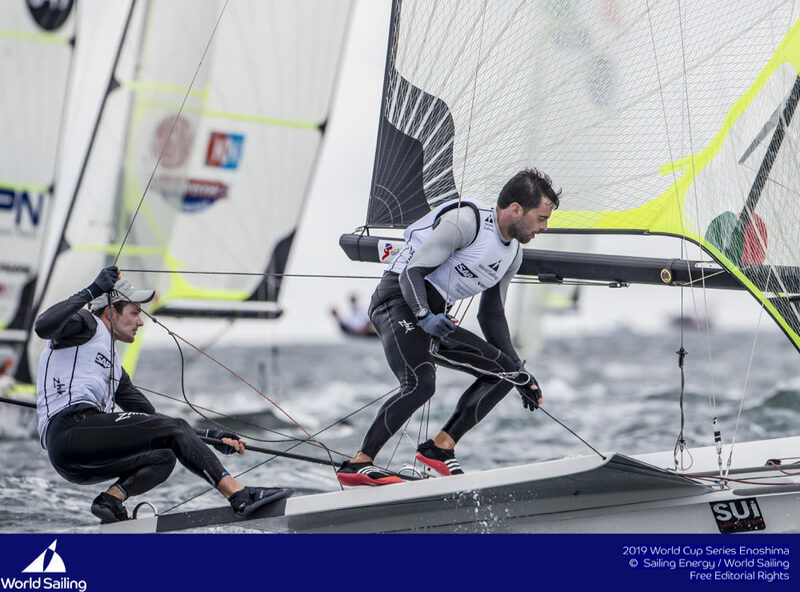 Previously, the helmsman for Team Tilt for the Red Bull Youth America’s Cup in 2013, Lucien Cujean is now focussed on the Tokyo Olympic Games in 2020 as crew on the 49er alongside Sébastien Schneiter and is thoroughly enjoying the change of role. 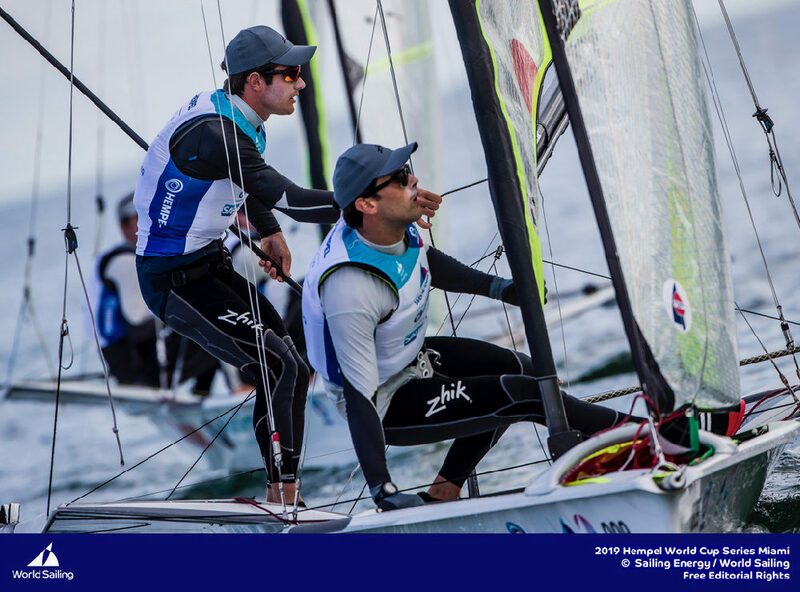 The 49er duo spent the winter training in the United States, then Spain (video) and finally on Lake Garda (video). 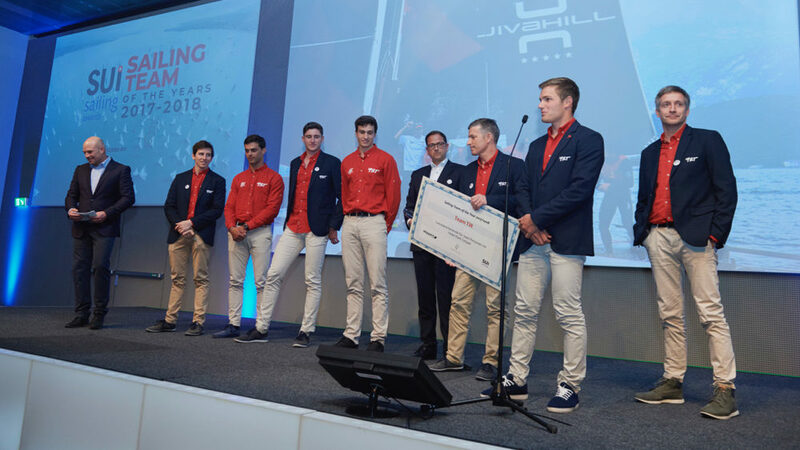 And it paid off as they were selected for the Test Event in Rio this summer, the official pre-Olympic regatta and a huge opportunity for the guys to gain precious experience. 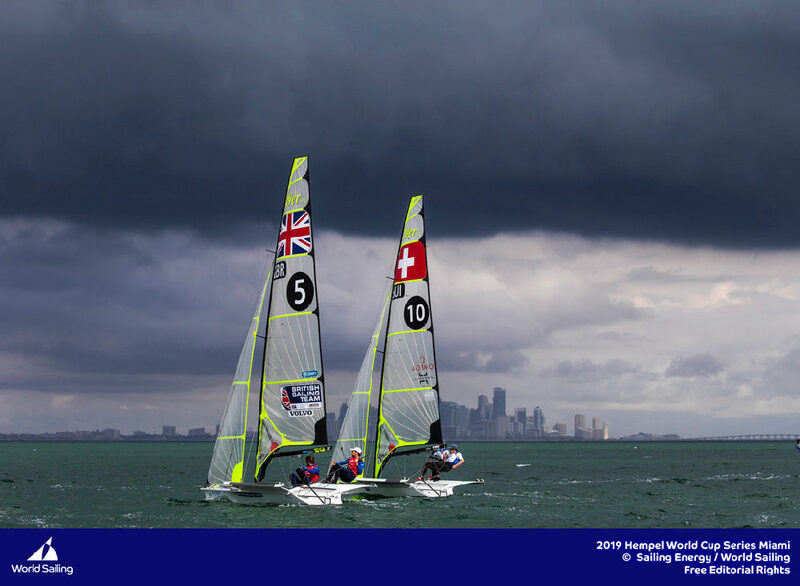 The year 2017 might seem a long way off for most, but Team Tilt has already begun the process that will result in a youth team of the right age to race the Red Bull Youth America’s Cup two years from now. The first stage is underway, connections have been made, and meanwhile the rest of the squad – Jocelyn Keller, Jérémy Bachelin and Sébastien Schneiter – remains focussed, hard at work on the D35. They have also added a Flying Phantom to the fleet and are using it to learn about foiling, as the AC45s will have foils in 2017. This season is dedicated to getting a handle on how it works, and then in 2016, the squad will race the Red Bull Foiling Generation circuit. 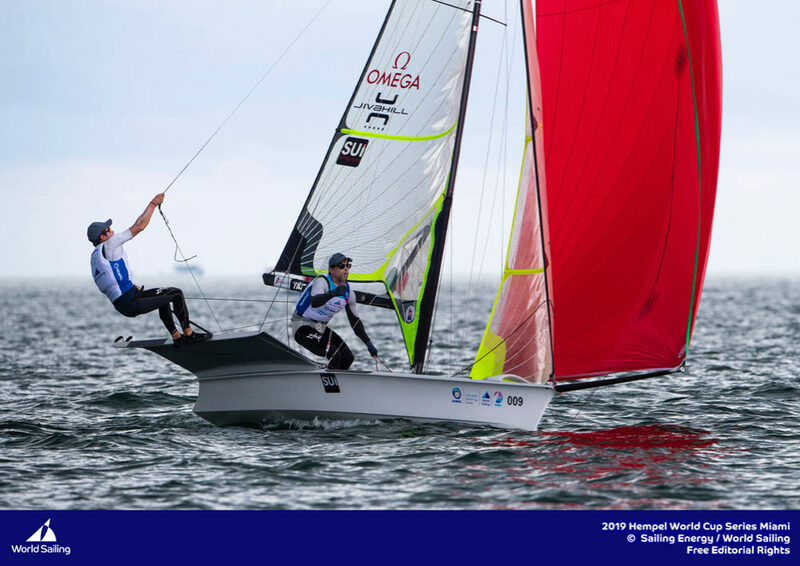 The crew can also practice on the new foiling A-Class. 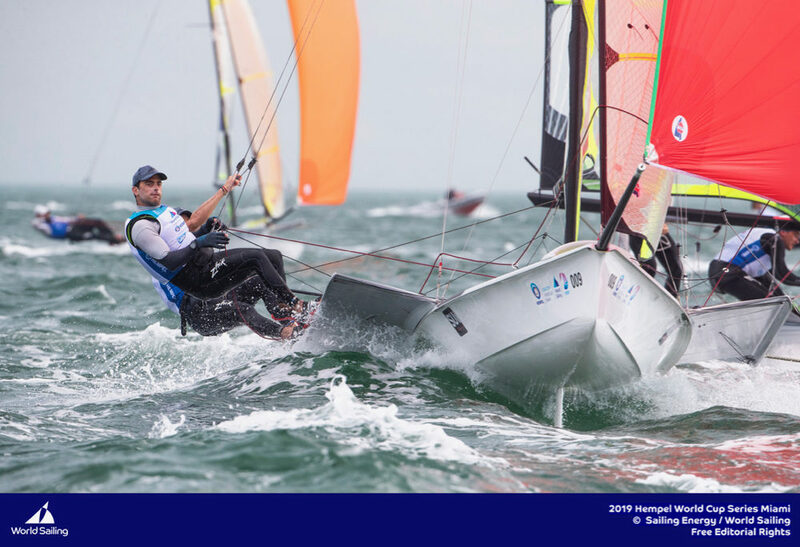 First Arnaud Psarofaghis returned to Team Tilt in late 2014, now Bryan Mettraux, 23, one of the well-known Mettraux sailing siblings, also returns after a short time away with Realteam racing the Extreme Sailing Series and the Decision 35. 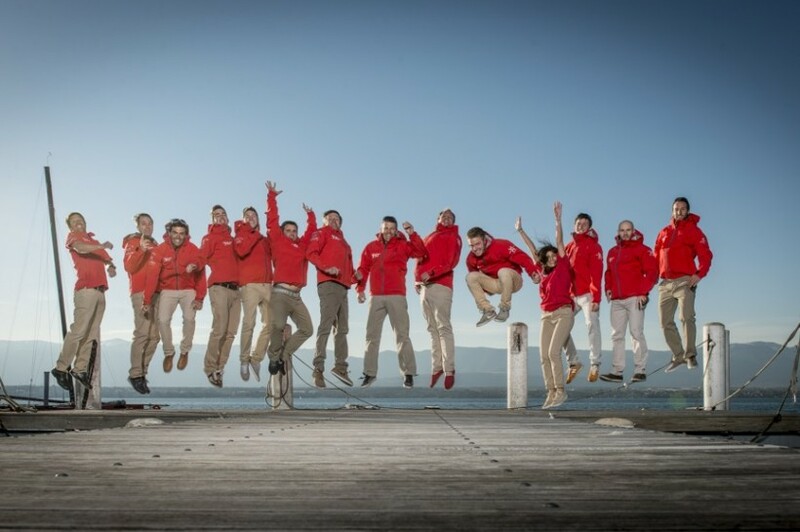 He last raced with Team Tilt for the Red Bull Youth America’s Cup in 2013. Our dear friend Carlito tragically passed away last week and has left a huge void in his wake. Our thoughts are with his family and his partner. To you Carlito… On behalf of all of us at Team Tilt, we want to tell you how much we all appreciated you: your passion, your humor, your kindness, your integrity and, of course your competitive spirit on the water. All of this made you a unique and extraordinary man. You were, for many of us and for the young sailors, a remarkable source of inspiration and motivation right from the start of the Team Tilt story. On the fateful day, you were a happy man. We had just received our new foiling “A Class” multihulls, and after a long, good-humored session, setting them up, we were about to take them out on the water for a maiden sail. Such happiness. You were as excited as a kid and took such great pleasure in discovering the world of flying boats. On the way to Quiberon, just a few days earlier, you had said how lucky we were to be living this new sailing revolution and shared your enthusiasm for the upcoming adventure. It is this image of you that we will all treasure: a passionate man, an outstanding sailor and an extraordinary friend. We miss you enormously already, but your spirit will always remain with us. Thank you for all that you have done for us and with us. I wish you fair winds my dear friend, Carlito.